Vector files are used by design professionals worldwide and they are the industry standard for graphic design, illustrations, technical documentation, etc. 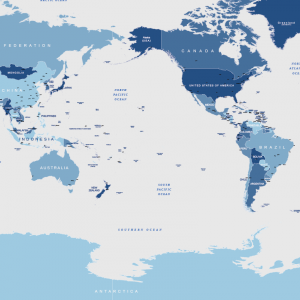 The main advantage of vector maps are scalability without loss of resolution. 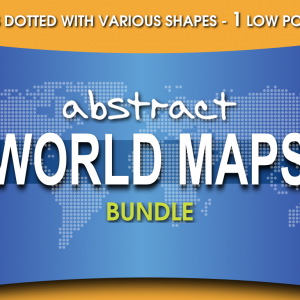 All elements of our vector maps are fully editable and contains all files needed for this. The number of vector elements that make up each map is indicated in the metadata section. 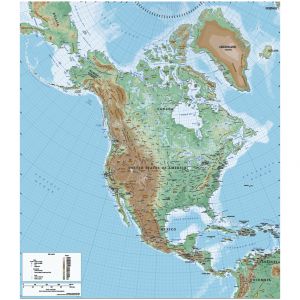 Our vector maps do not have fixed resolutions, they are flexible and can be scaled without loss of quality. The original scale shown in the metadata for each map. 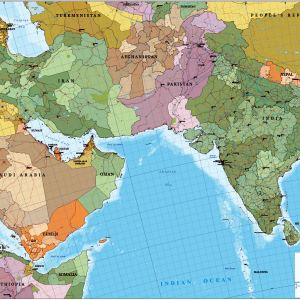 The maps are created with thematic layers in which all elements are ordered. The number of layers and theme is described in the metadata section of each map. All text is fully editable font text, not outlines. Labels with place names have been placed and adapted manually if necessary. The typeface is in line with the mapping recommendations. 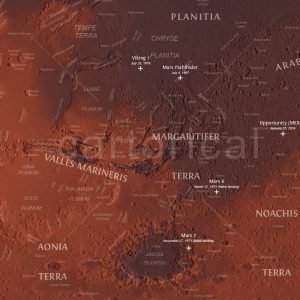 All the families of fonts used on our maps have a license allowing the free utilization for personal and commercial use and the files are included along with the map. The original scale in which the data were captured is shown in the metadata of each of our maps. Scale ratios are representative fractions. When you see in any of our maps a ratio of 1:50 000, it means that the objects portrayed on the map are drawn at 1/50 000 their actual size. 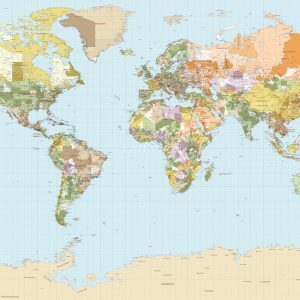 1/50 000 is a larger fraction than 1/1 000 000, and thus the 1:50 000 map is of a larger scale. This might seem unintuitive because when we see a large number on a map in the millions, and the area covered by the map is large, we may lean toward that map as being “large-scale” (our brains tend to associate ‘big’ with other things that are ‘big’). But this is wrong. Those fractions are referring to the size of the object. Every download contain a zip compressed archive with 4 file formats: Adobe Illustrator AI, EPS, PDF and high-res JPG (300 dpi). It also includes the font files and raster layers (e.g. Digital Elevation Model) if they were needed. 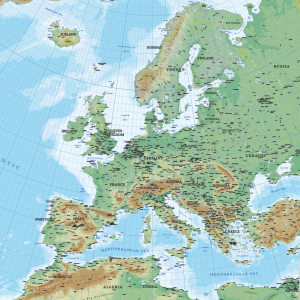 You can download our sample map (AI, EPS and PDF formats) to confirm that the product will work with your software. 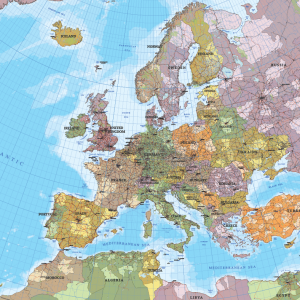 The cartographic references which are based our maps are free sources. 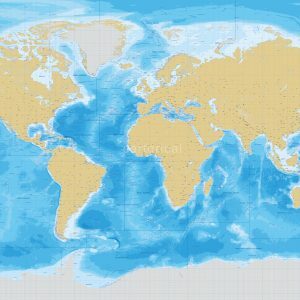 Come from cartographic databases of public domain -as Natural Earth, CIA World Factbook and others- widely used in the GIS world. The download links that we provide never expire, so you can download your maps whenever you want, unlimited. We do everything possible to periodically update our maps and provide the most accurate possible. On each map next to the description appears the metadata with its creation date. Updates are free, also if the map has been updated since you bought it. We can not ensure that our maps reach the expectations of the purchaser but we believe it is important to test before buying. 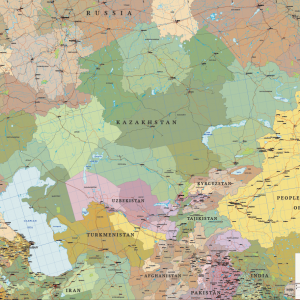 Therefore we invite you to explore the quality of our cartography downloading our free sample map. 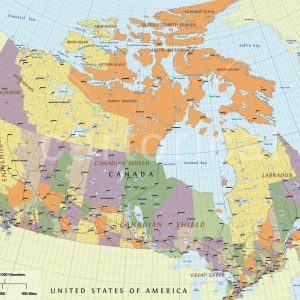 Our Standard License is a perpetual, worldwide, non-transferable, non-assignable, non-exclusive license to use and reproduce our maps. You can find more info on our dedicated license page. 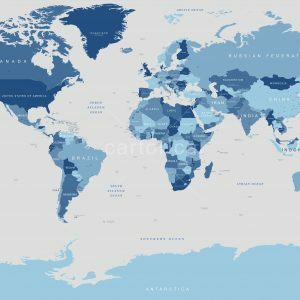 The Standard License is the license agreement by default accompanying each of our maps, but we have a Extended License for specific purposes and needs. You can choose before of your purchase. Please visit our dedicated license page or contact with us. You can pay with your credit and debit card or PayPal account. You can choose during checkout your preferred payment method. When the transaction is completed, you will receive an email confirming that we have received your purchase order and a link to download your maps. The Cartorical site address is visible as https:// – s indicating that it is a secured link. Additionally, you can see the padlock at the left corner of the address bar. When you submit your payment information your data is protected by Secure Socket Layer (SSL) technology certified by a digital certificate. All our online payments are powered by Stripe and PayPal, world leaders in e-commerce. Paypal and Stripe hide your financial details so you don’t have to share them online. Your confidential information in transit is encrypted using the SSL protocol with an encryption key length of 128-bits (the highest level commercially available). If you would like an invoice for your purchase, please contact us via the email address you will receive once the transaction has been completed. Be sure to include any details you need shown, such as your company name, VAT ID or physical address. No refund will be offered for products once sold. Since these are digital files, all maps and assets are not refundable or exchangeable. However, files can be replaced if damaged or corrupt. Simply contact us.